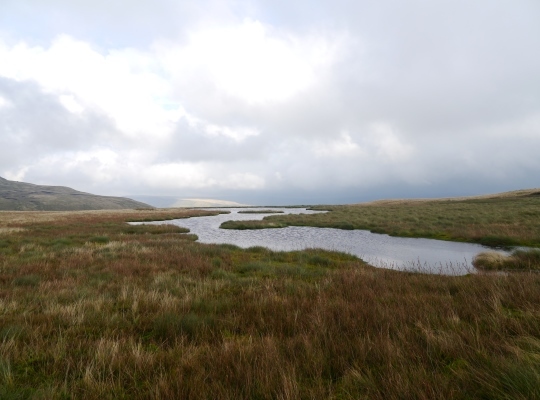 In the broad saddle between Wild Boar Fell and Swarth Fell is a long, narrow tarn that seemingly has no name. Given its location I’ve always thought of it as Saddle Tarn. 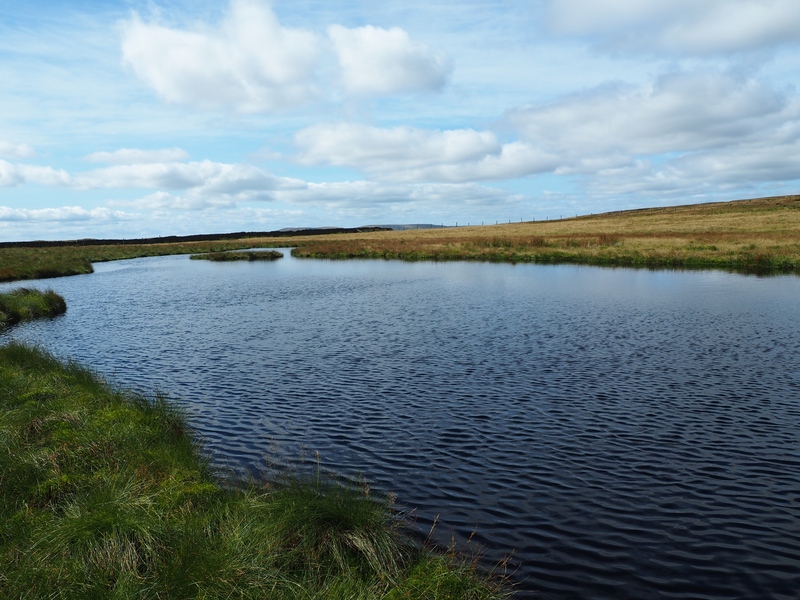 There are some tarns which tend to come and go depending on how wet conditions. This particular tarn has always been there on the three times I’ve passed, which suggests that it is fairly permanent. 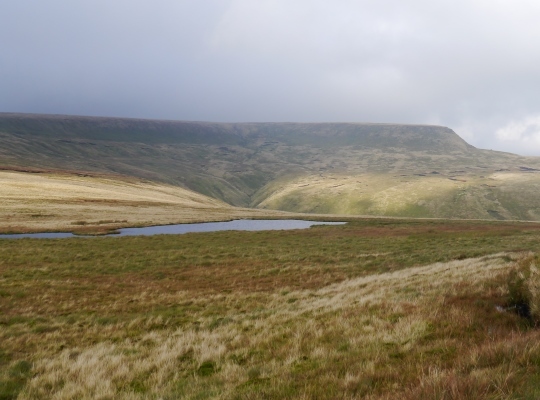 Anyone walking between Swarth Fell and Wild Boar Fell will pass close to Saddle Tarn and it is only a couple of minutes detour to walk right up to the somewhat soggy edge of the tarn.